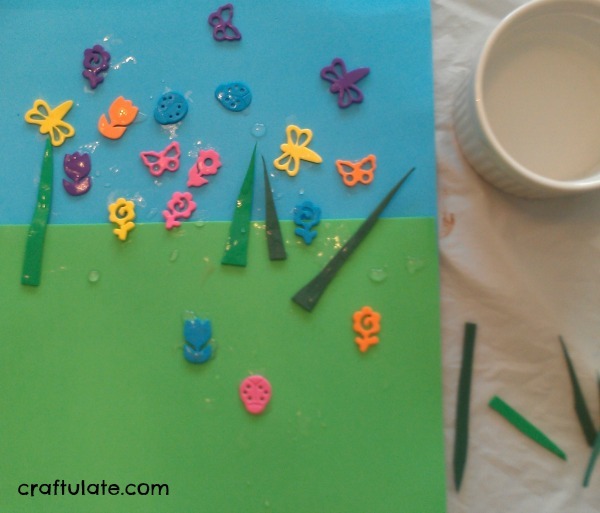 This craft foam collage is a great way to practice fine motor skills – dip the shapes into the water and then “stick” them to the background! 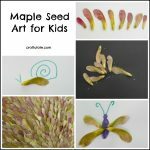 Great for all ages and completely reusable! 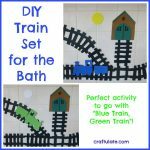 One of the things we learnt from our craft foam train set for the bath is that wet craft foam sticks really well to other craft foam. So I decided to use up some foam shapes that I had and make this spring collage. To prepare for this activity I hot glued a piece of green foam sheet onto a larger piece of blue foam sheet to represent the sky and ground. I then cut out a few pieces of grass from green craft foam. I set out the background, a little bowl of water and the foam shapes. Note – they are not stickers – just foam shapes. I showed F how to stick the shapes onto the background by dipping them into the water before placing them. The shapes included flowers, dragonflies, butterflies and bugs, so we talked about their names and colors. We played with this several times over the next few days, making different pictures. We even packed it up and took it to a playdate with LalyMom – her daughter made a great collage! 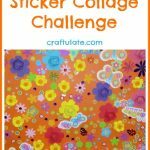 This collage kit is so light and easy to transport that I’m thinking of making a smaller background and creating a compact version – it would be great to keep in the diaper bag for travelling and restaurants. Just add water! Oh, we’ll be trying this soon! She really liked that craft, I could tell by how focused she was! Thanks for sharing with us! Cute idea! 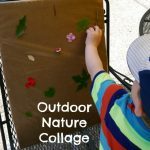 Make a picture, then add some grass to practice scissor skills! ; ). Never thought to use water & foam– we’ll have to try it! What a great idea! Never knew or thought that wet foam would simply stick to foam with just water!! !